The metatarsal dome – similar to the off-the-peg version that I had before – is a biomechanical means of straightening clawed toes. Unfortunately, my problem isn’t a straightforward biomechanical problem, and – while the insoles no doubt did a wonderful job of correcting my gait (which has never troubled me), they didn’t do anything for the dystonia. I tried. I wanted them to work. I wasn’t even all that worried about the fact that the insoles were so thick that, dystonia or no dystonia, there wasn’t actually room for them and my feet inside most of my shoes. I replaced them with something similar, but browner. The insoles still didn’t help the dystonia. So, I asked to see the podiatrist again. 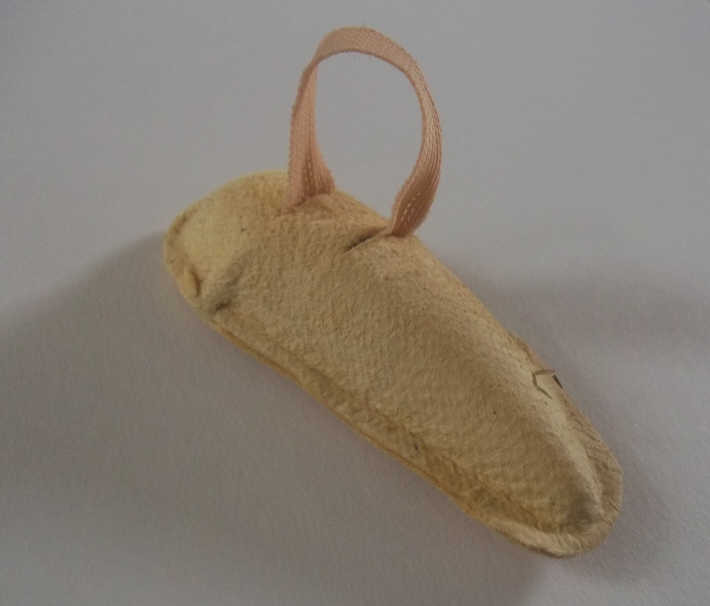 He had discharged me – I am not sure who was most surprised: me, to find that I had been discharged on the assumption that the insoles would work, or him, to find that the insoles did not work. I was undischarged, and saw him again today. I could see the intransigence of my feet eroding his confidence. This wasn’t how feet were meant to behave! He checked that the dome was in the right place. He told me that he didn’t think he could help. Then I asked him about toe props. I had forgotten what they were called, but managed to describe them. to try out (the loop goes around the middle toe; the pad goes under the toes). 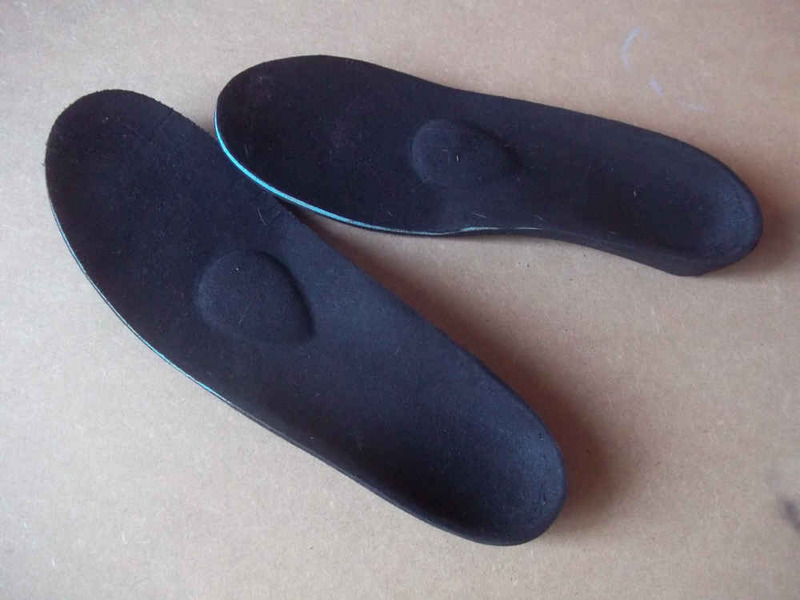 If they work, they can be incorporated into a new pair of custom insoles. The insoles look like Birkenstocks but without Birkies ridged toe grip. They might be worth a try for summer sandals. Accept no substitute, only Birkies have that ridge under the toes. I prefer the thong ones or the triple strap versions to the classic single strap but I live in mine all summer. Birkenstock is a German company but you can find them on Amazon in the US. It will have to be something with proper straps as what go round the back of the foot for me. Can’t be doing with thongs or flip flops, me. I can’t normally wear flip flops or thongs as I have nerve root damage and even shoes that are low cut just fall off my left foot. There’s something about the shape of the base of Birkies that means they stay on and I can even run in them. I have ordered some Birkies. Will let you know how I get on. Incidentally, my mother-in-law is also a Birkie-fan and she suggested them at Easter. If you go to http://www.ebay.co.uk and search for ‘Birkenstock’ a whole range of sandals comes up. Also on http://www.amazon.co.uk if you search for ‘Birkenstock’. The crest pad can be very helpful for what you’re describing. They do come in a silicon version as well, which sometimes can be a little more hygienic- you can wash them every day with soap and water to keep them fresh. The foam and cloth versions can get a little gross after long term wearing. Thanks for sharing the information. The better option is to consult a podiatrist because they can understand the problems well and suggest a solution.You can contact our excellent team of podiatrists in San Antonio for assistance. I think I’ll stick wth the British National Health Service, Emma. San Antonio is a little far away.